Our Deluxe double en-suite rooms are elegantly furnished with wonderfully handcrafted four poster beds and period furniture. 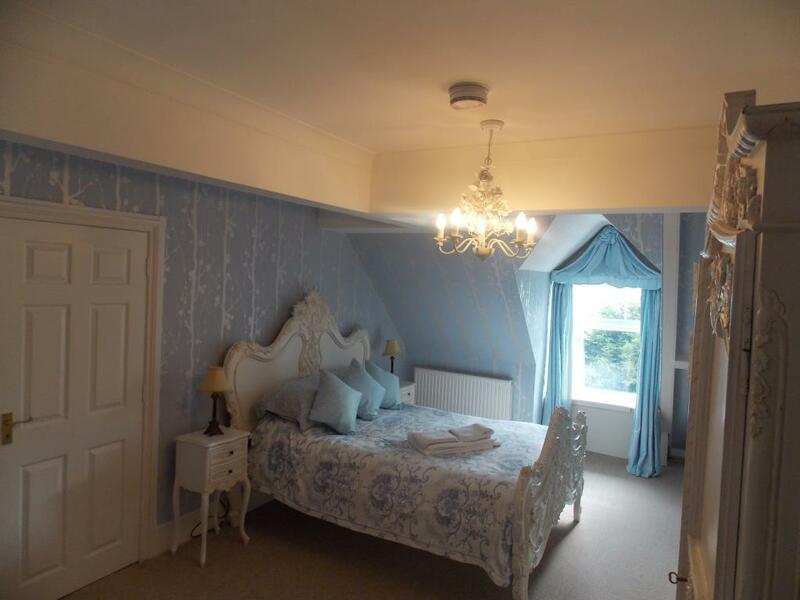 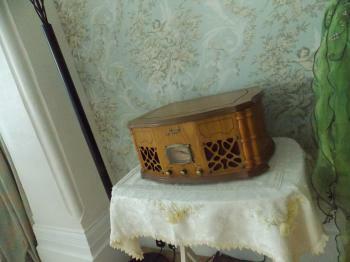 The sumptuous bedding ensures a good nights sleep and the sitting rooms are cosy and inviting. 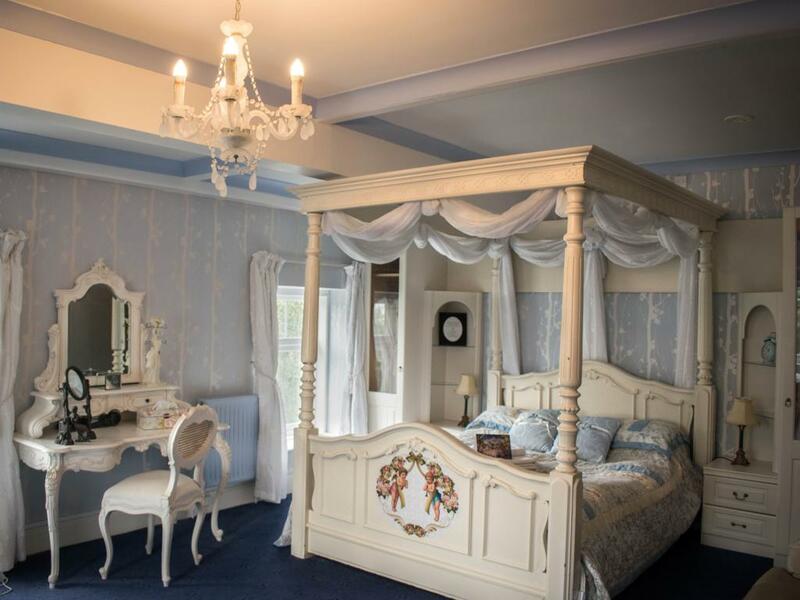 Our Starlight Room, a favourite of our guests has an antique french bed and a beautiful view over the gardens and the sea in the distance. 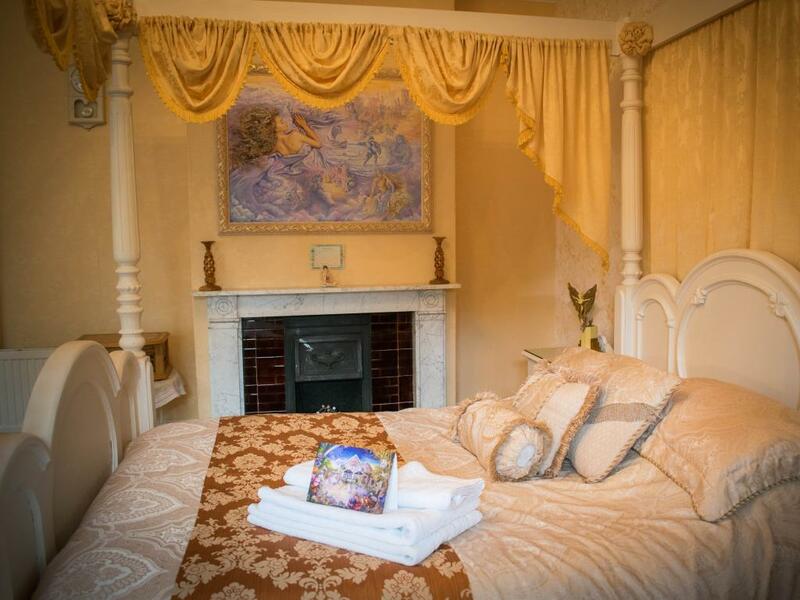 Ultimate luxury can be found in the Atlantis suite popular for Honeymooners with it's own sunny sitting room overlooking the pergolas and landscaped gardens. 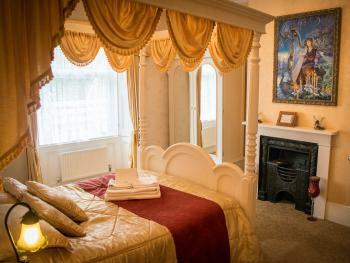 Our superior double en-suite rooms are elegantly furnished with four poster beds and your own en-suite bathroom. 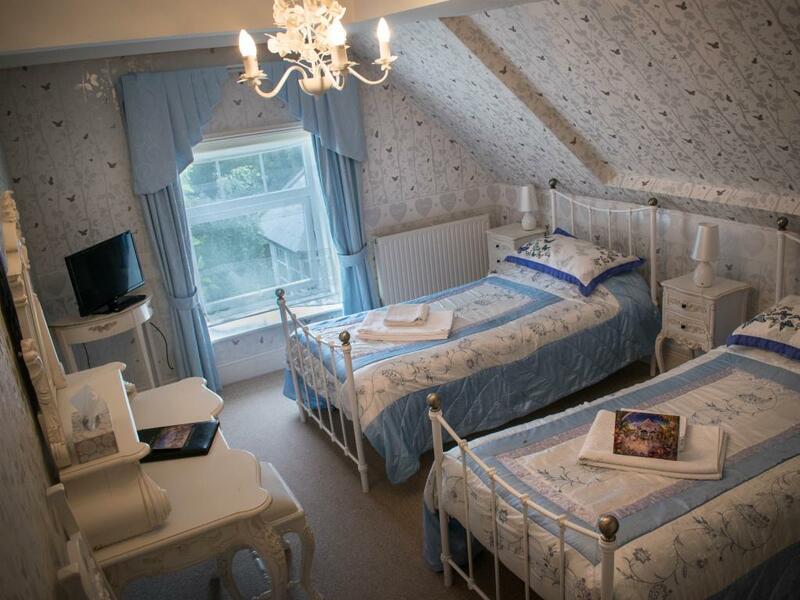 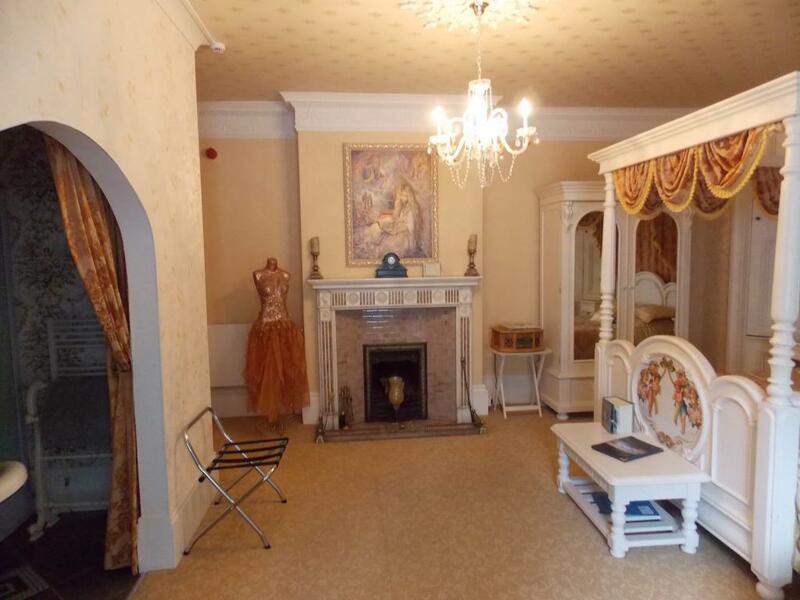 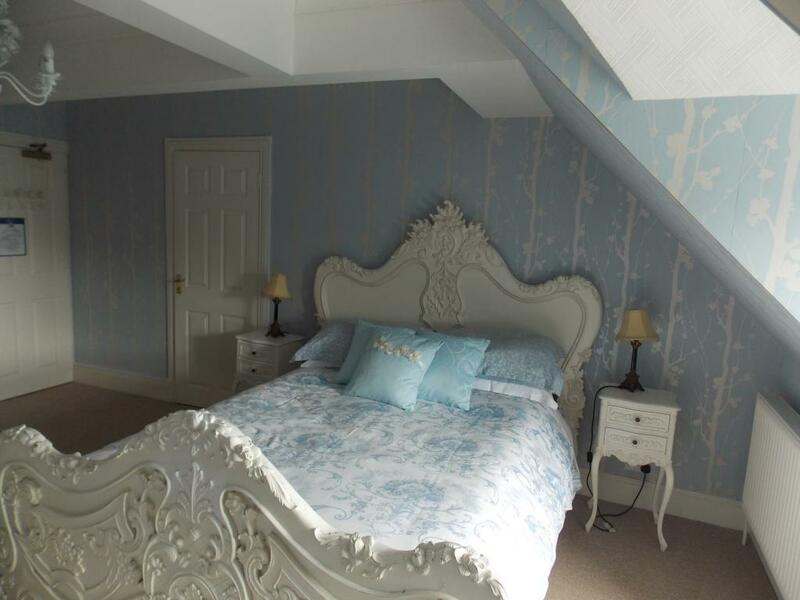 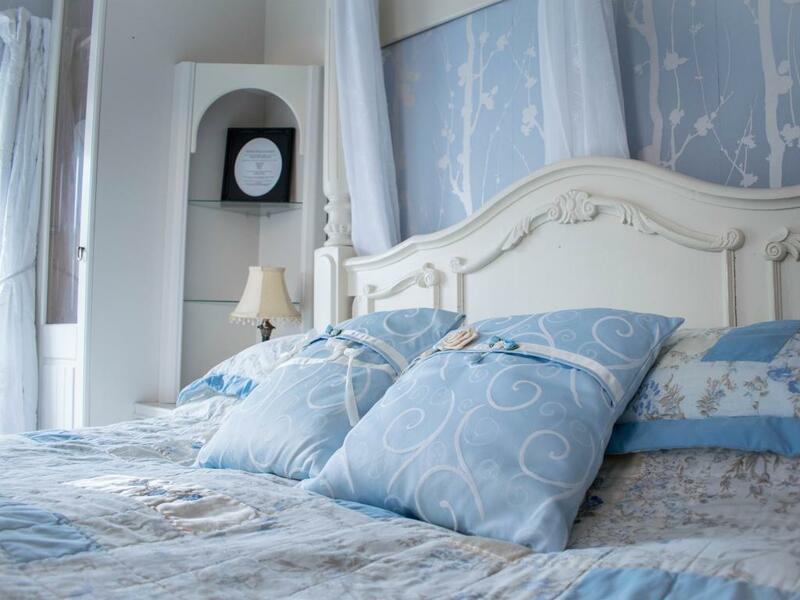 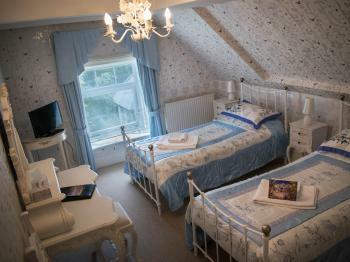 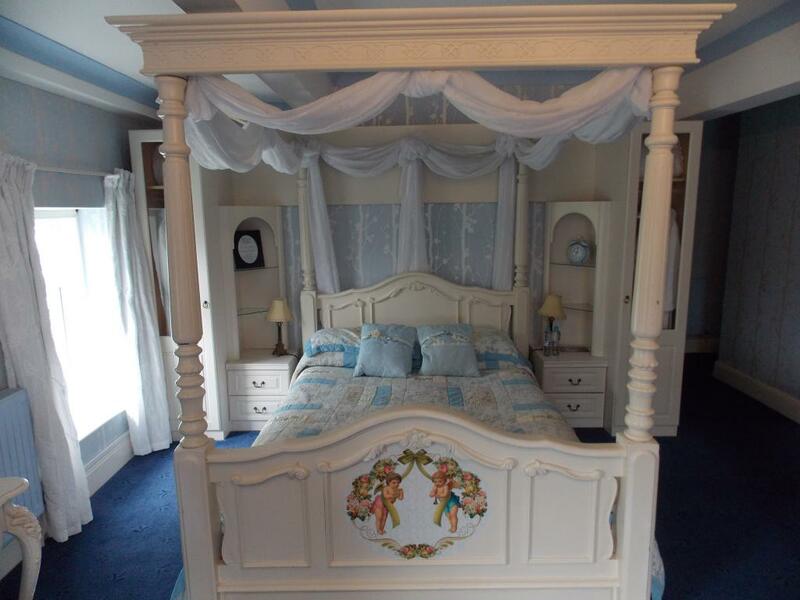 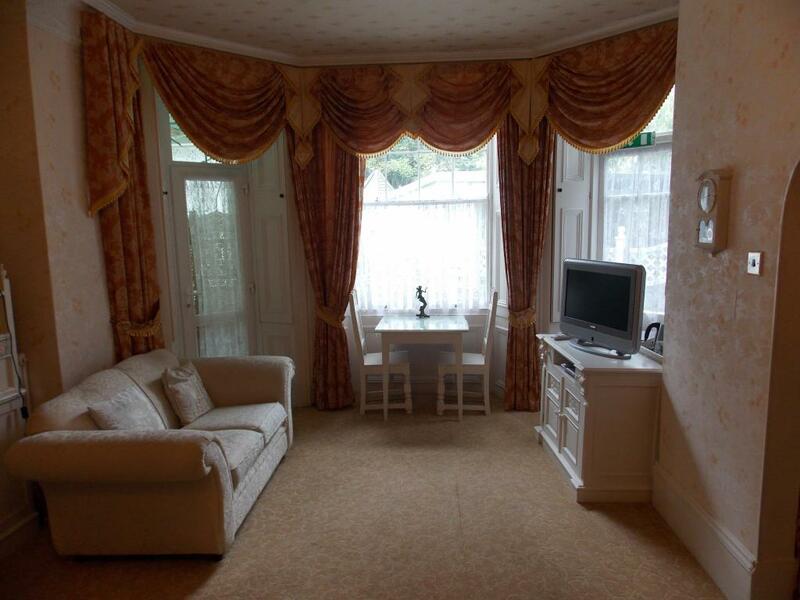 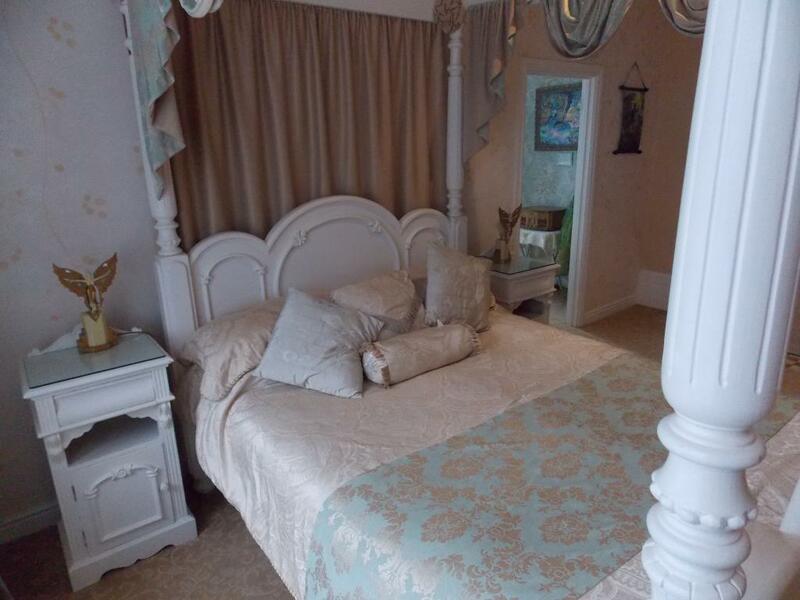 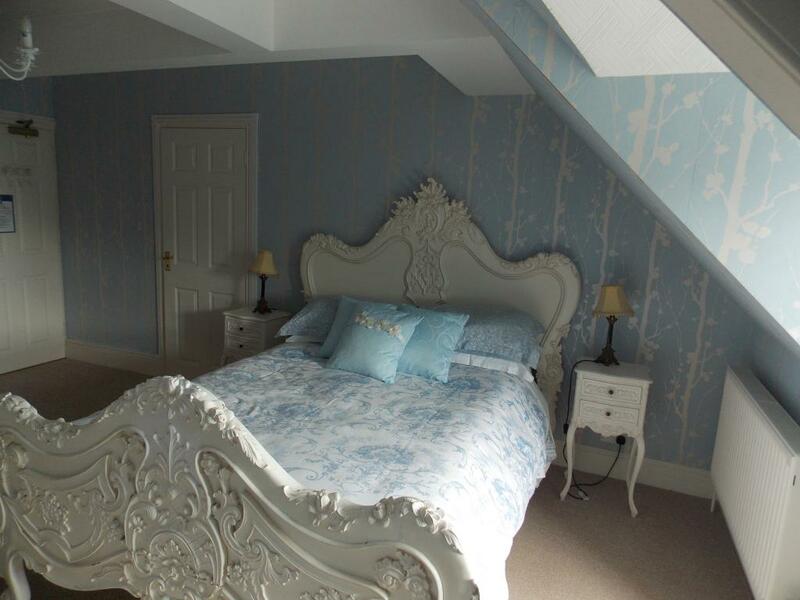 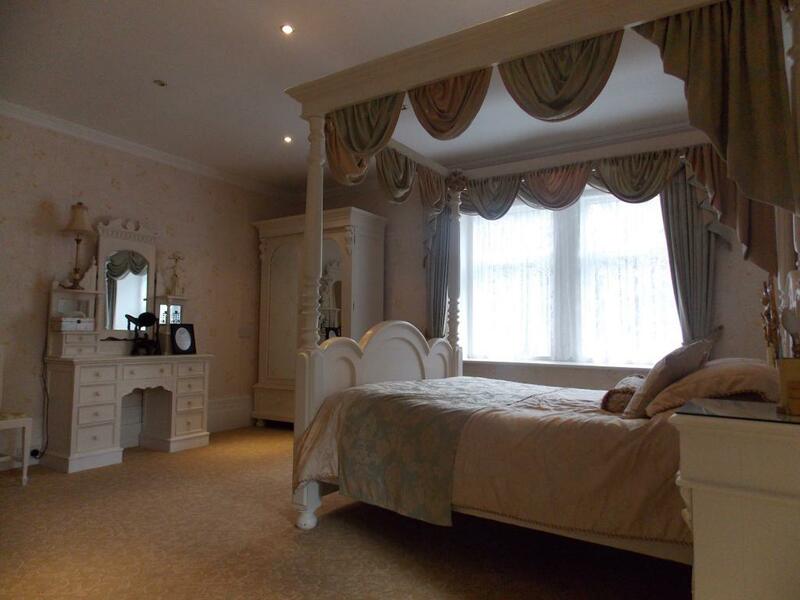 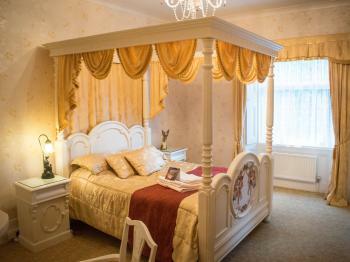 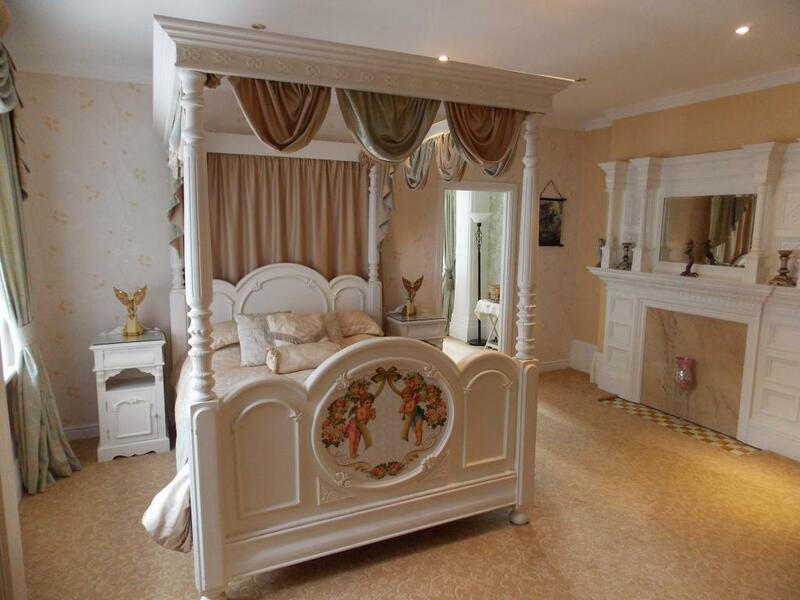 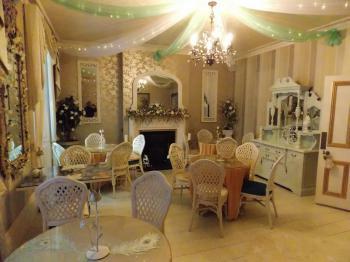 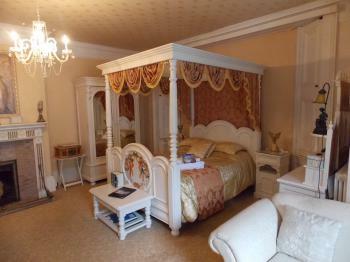 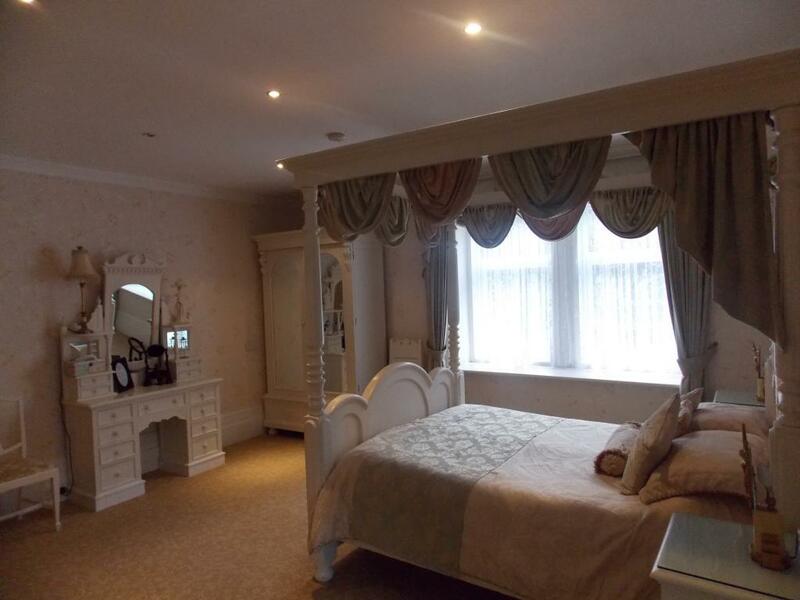 Beautiful furnishings and cosy bedding invites you to relax and enjoy your stay at the Enchanted Manor. 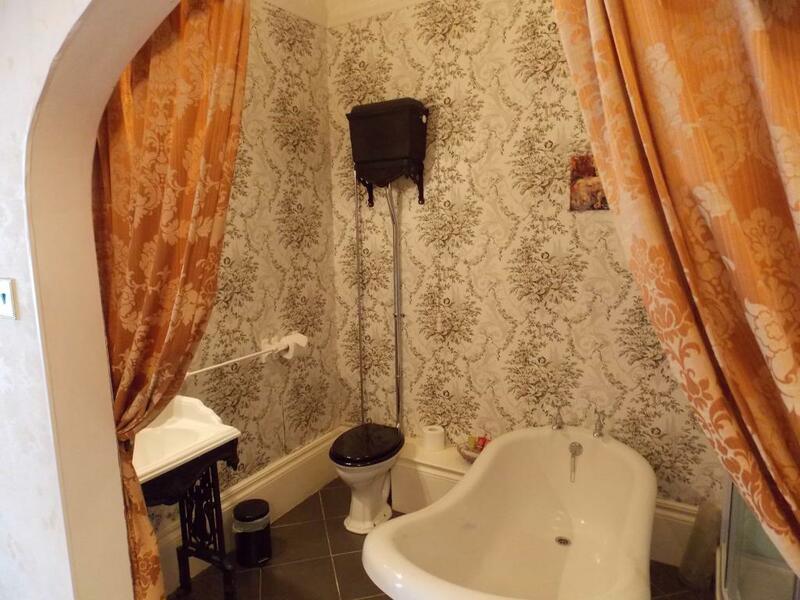 The bathrooms have ball and claw feet and are tastefully decorated. 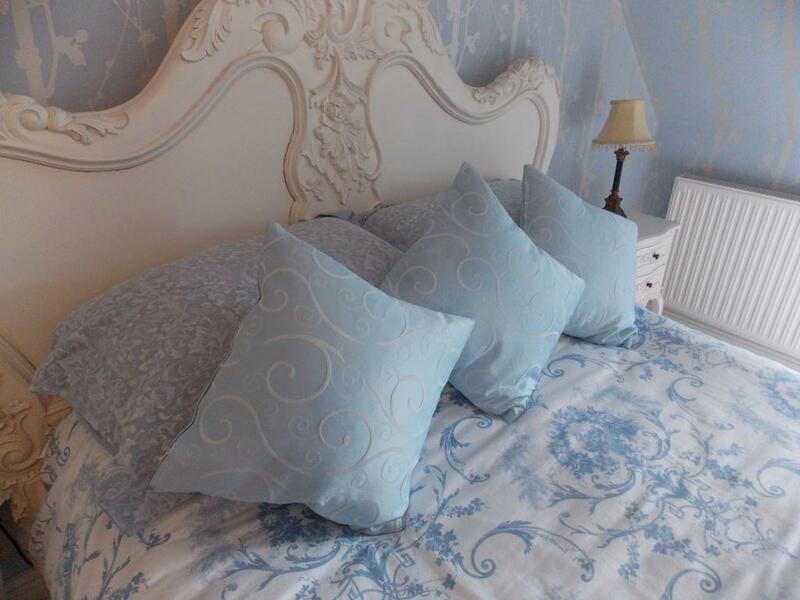 Our beautifully decorated Rainbow twin is tranquil and inviting in pale blue and white colours. 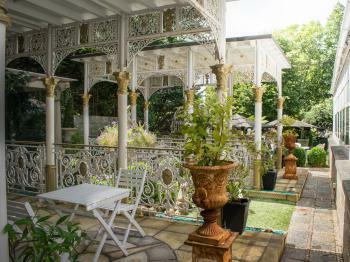 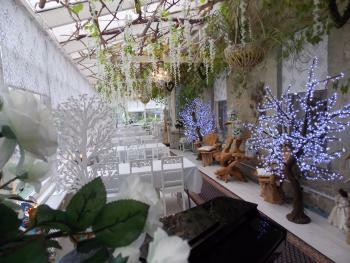 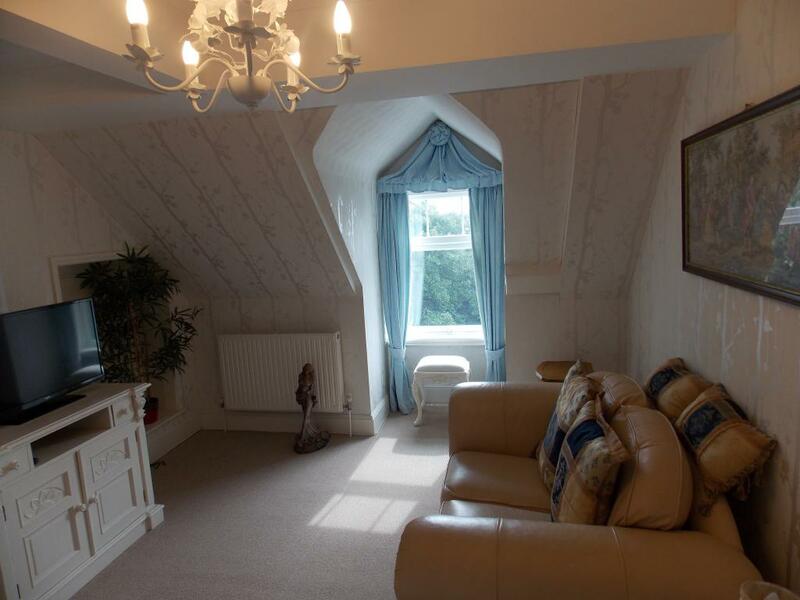 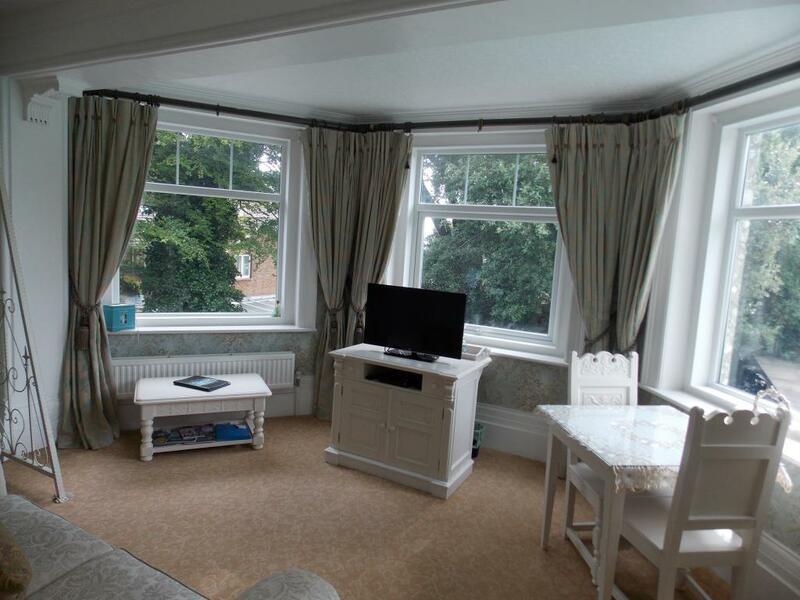 Situated overlooking the gardens, this room is relaxing and lovely place to be on a beautiful day at the Enchanted Manor. 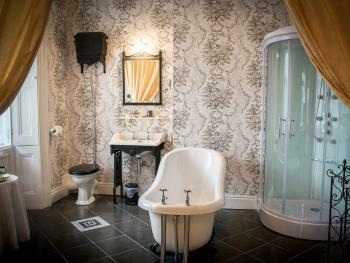 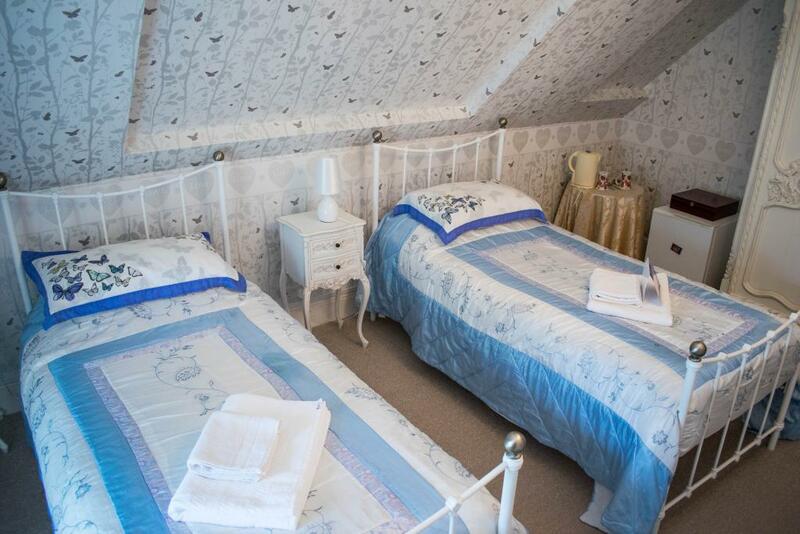 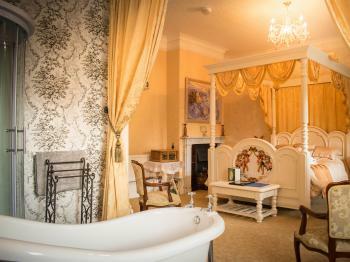 Our Classic double en-suite room is elegantly furnished with a four poster bed and your own en-suite bathroom. 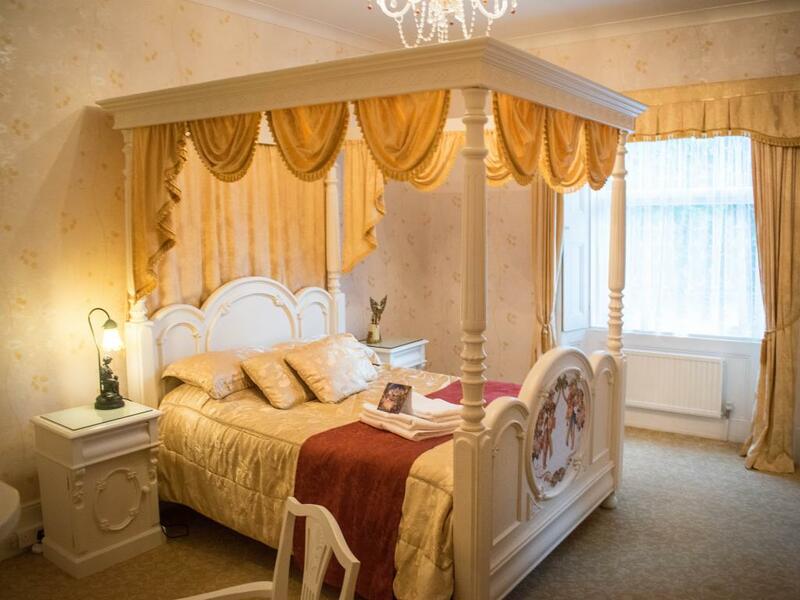 Beautiful furnishings and cosy bedding invites you to relax and enjoy your stay at the Enchanted Manor. 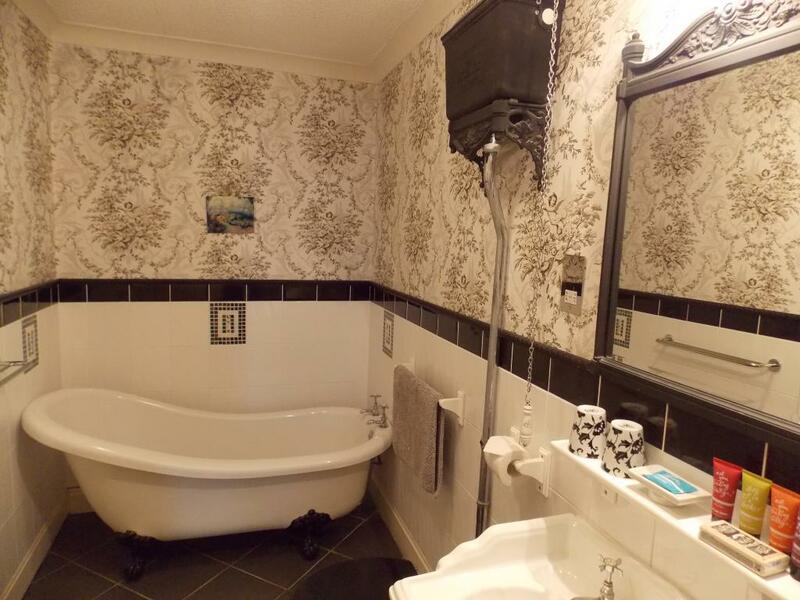 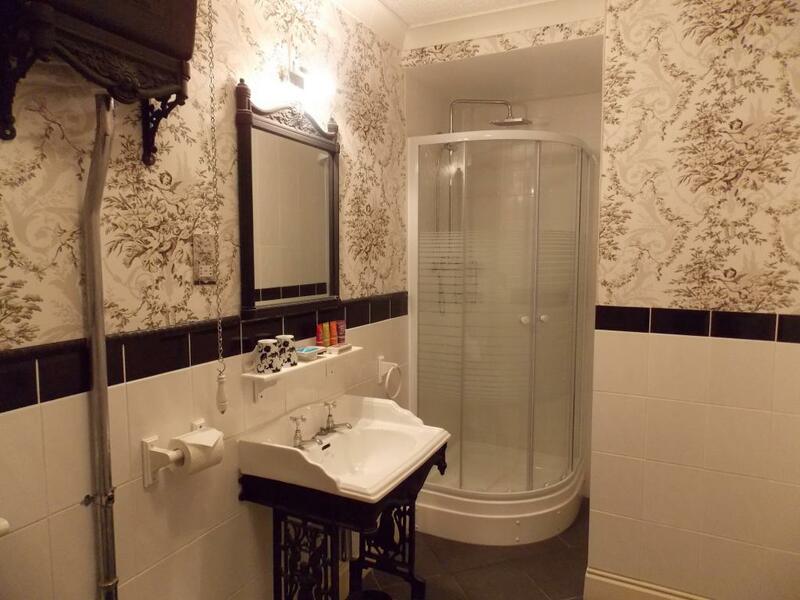 The bathroom has a ball and claw feet tub and are tastefully decorated. 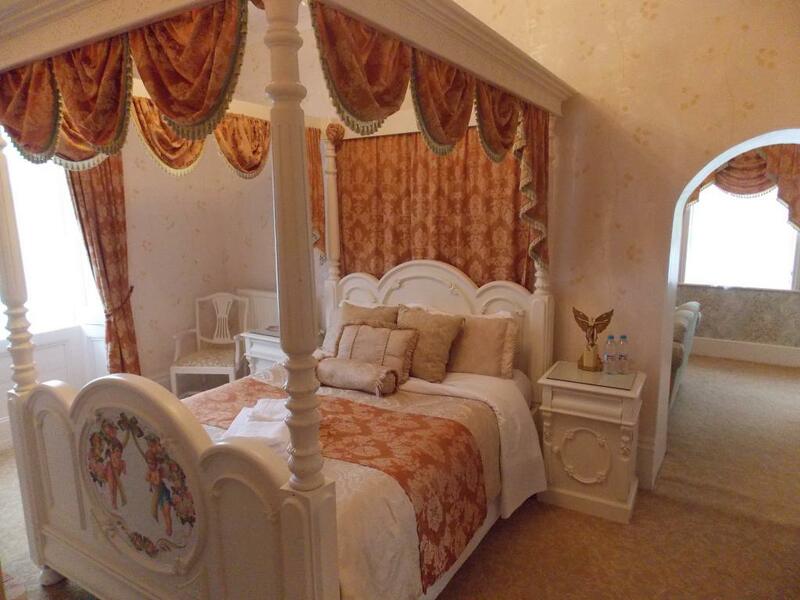 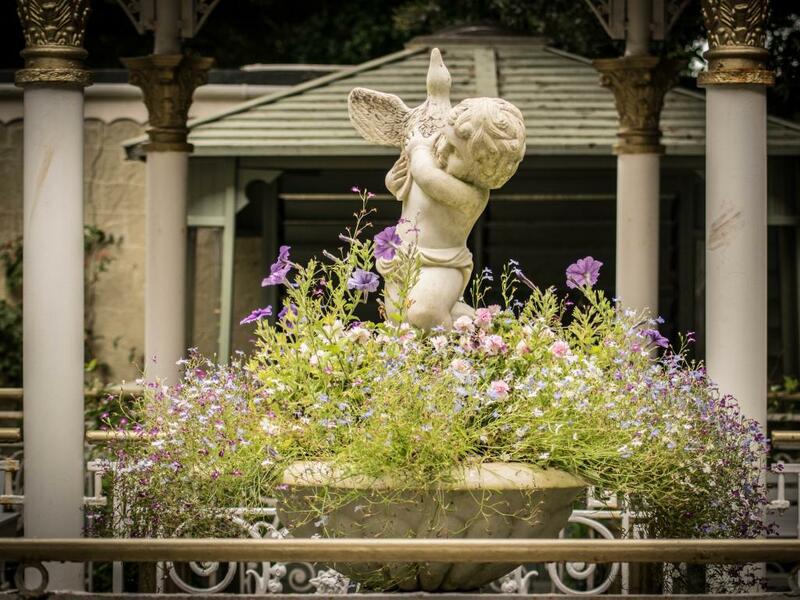 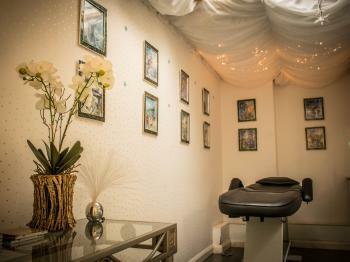 Creating unforgettable Memories at the Enchanted Manor. 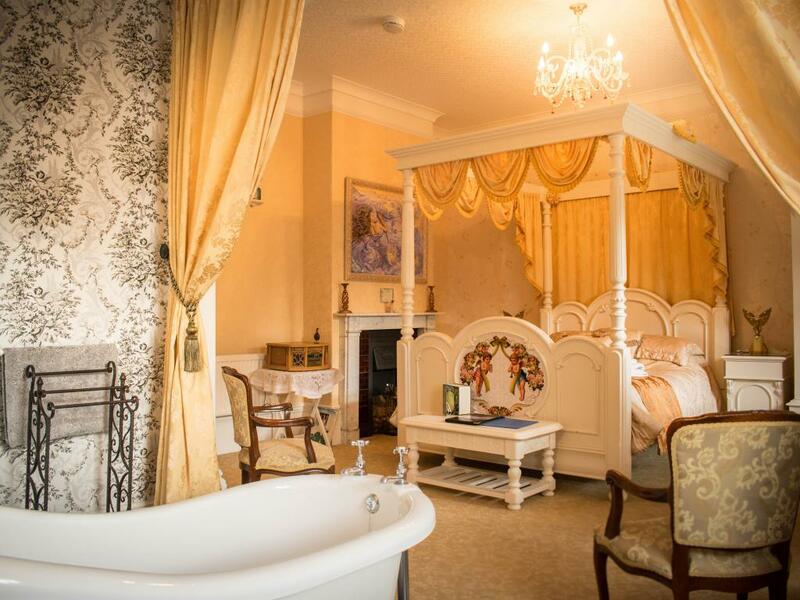 Staying at the Manor is an experience you will always remember. 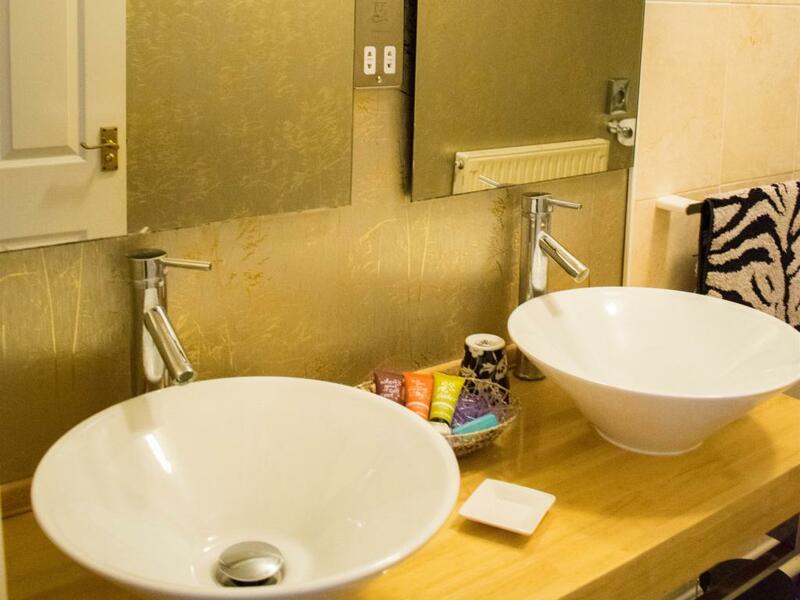 There are large deluxe suites all with en-suite bathrooms and many thoughtful touches. 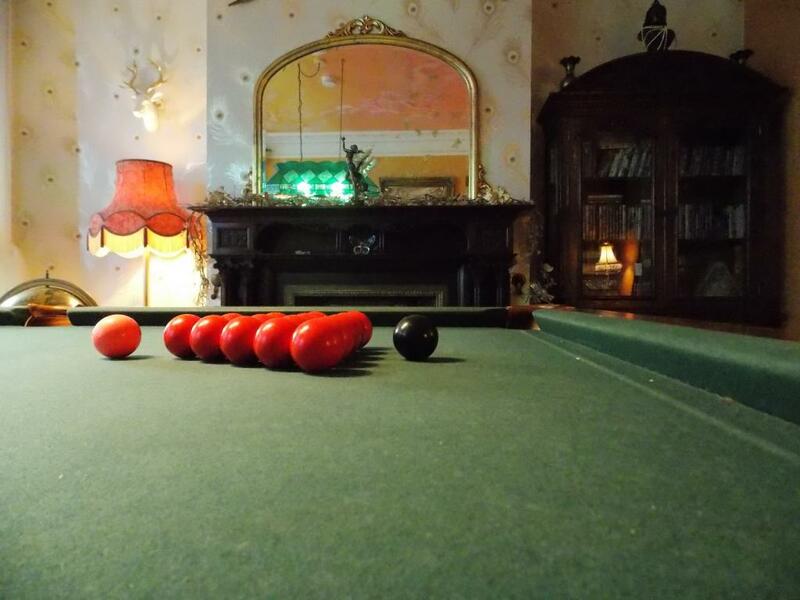 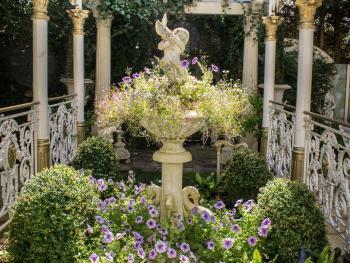 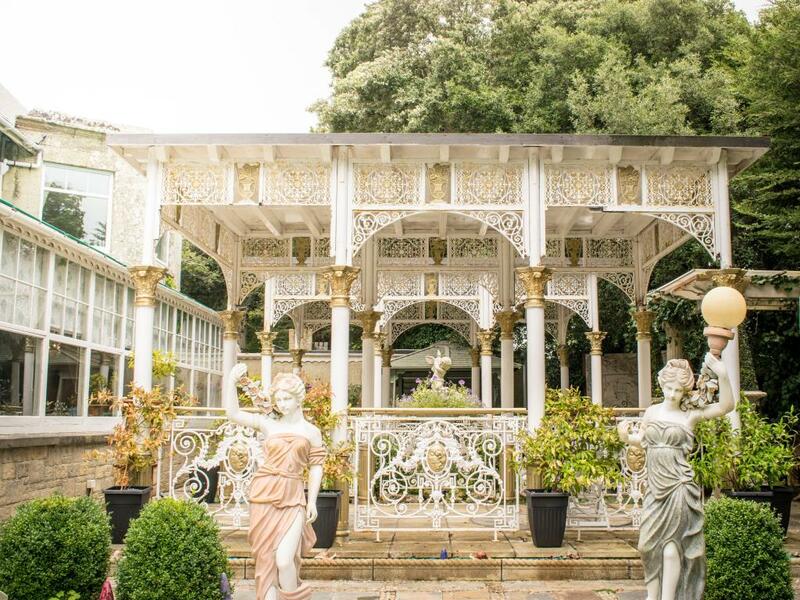 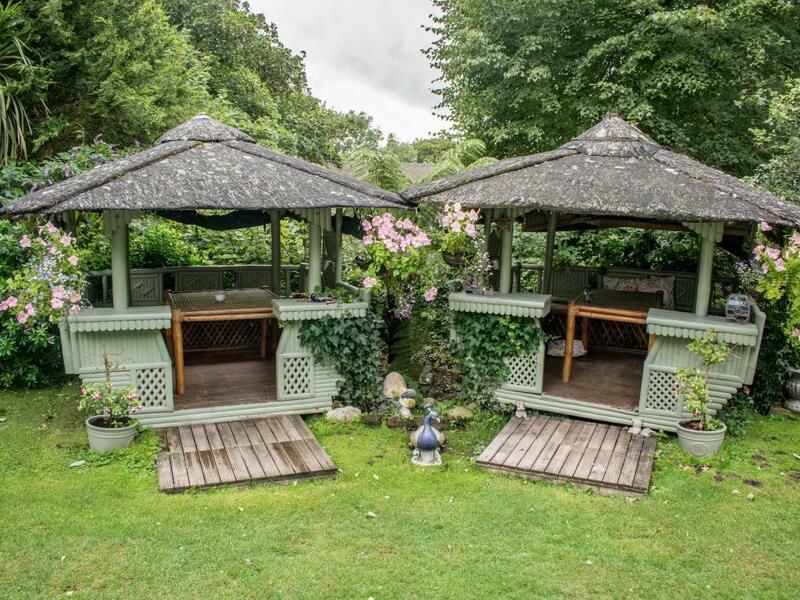 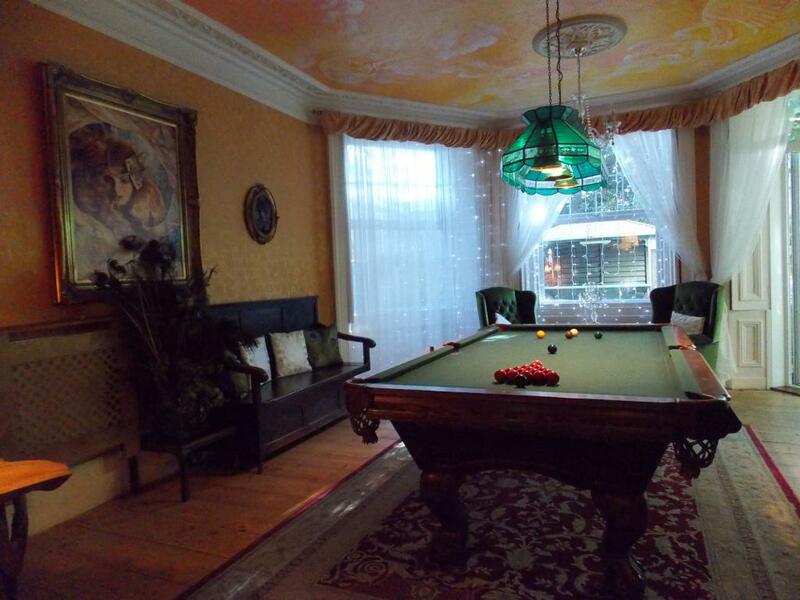 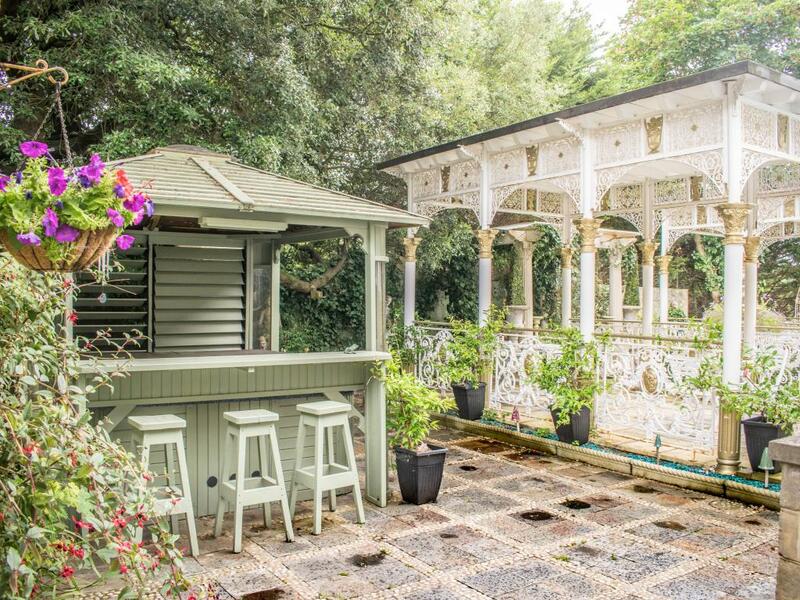 There is a Victorian billiard room to relax in the evening which overlooks the beautiful terraced gardens with Venetian pagodas and garden follies used to watch the badgers that visit the manor every evening. . 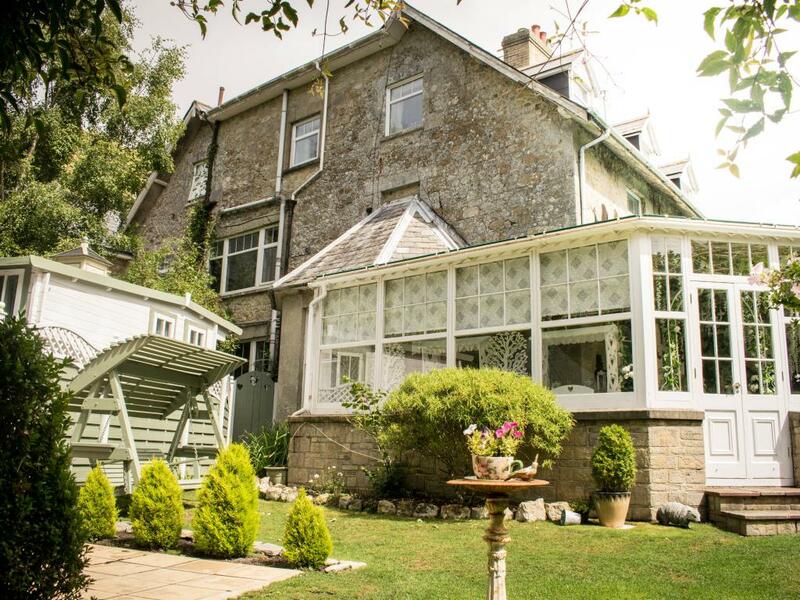 The Enchanted Manor is situated overlooking the breathtaking Southern coastline and is surrounded by picturesque countryside. 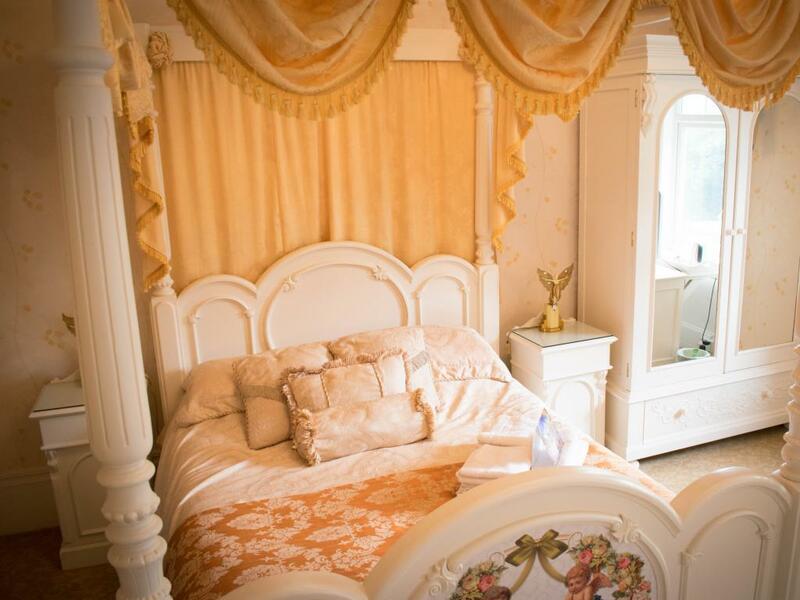 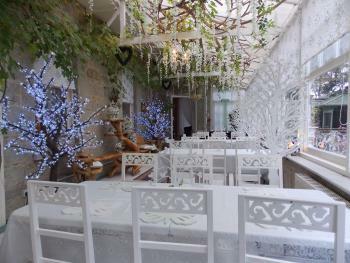 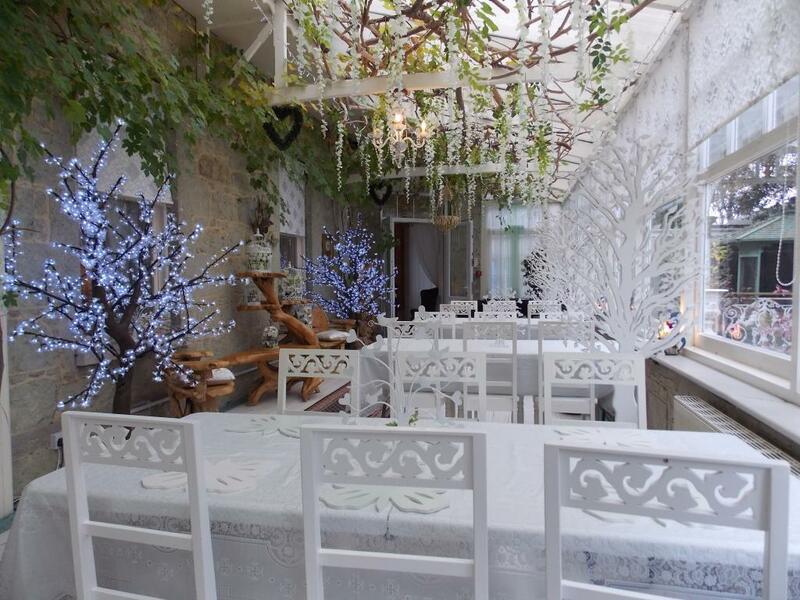 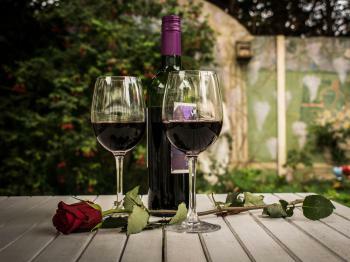 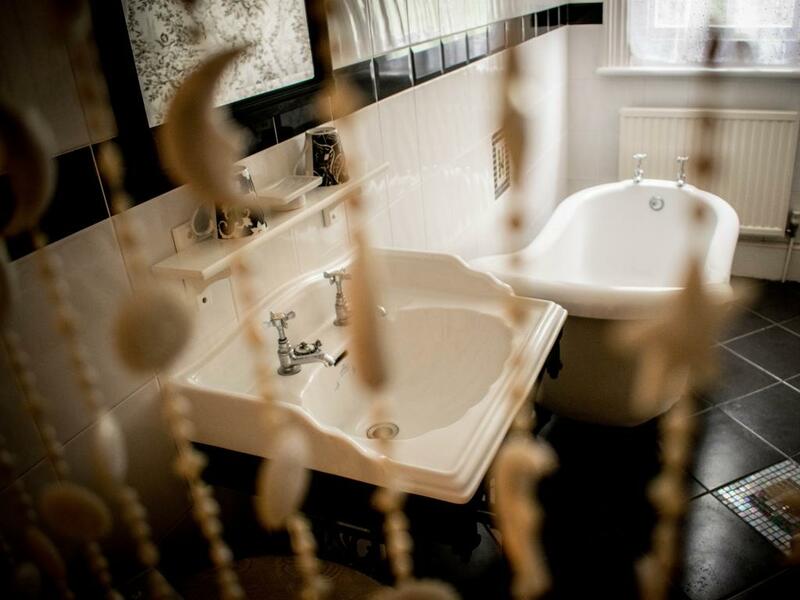 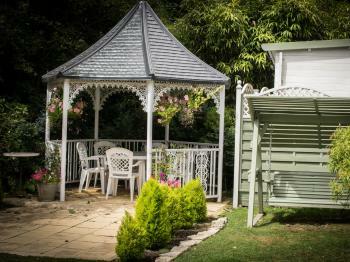 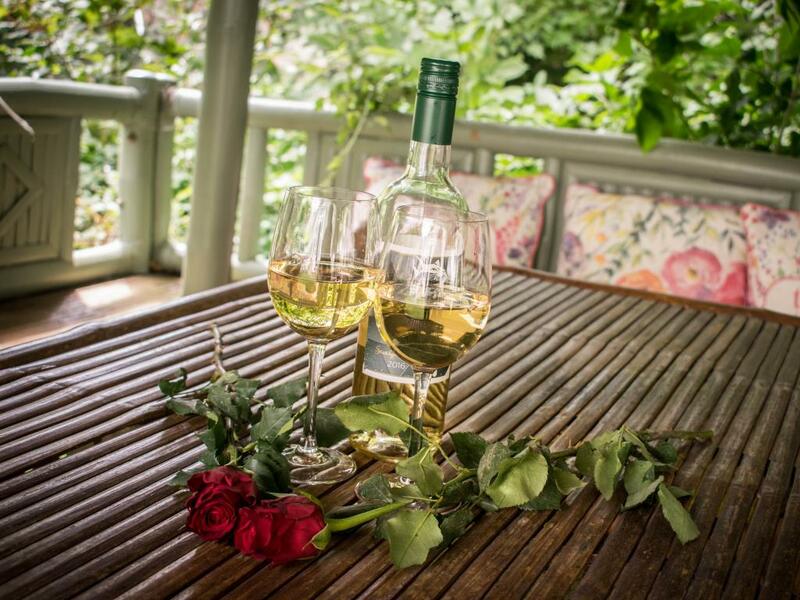 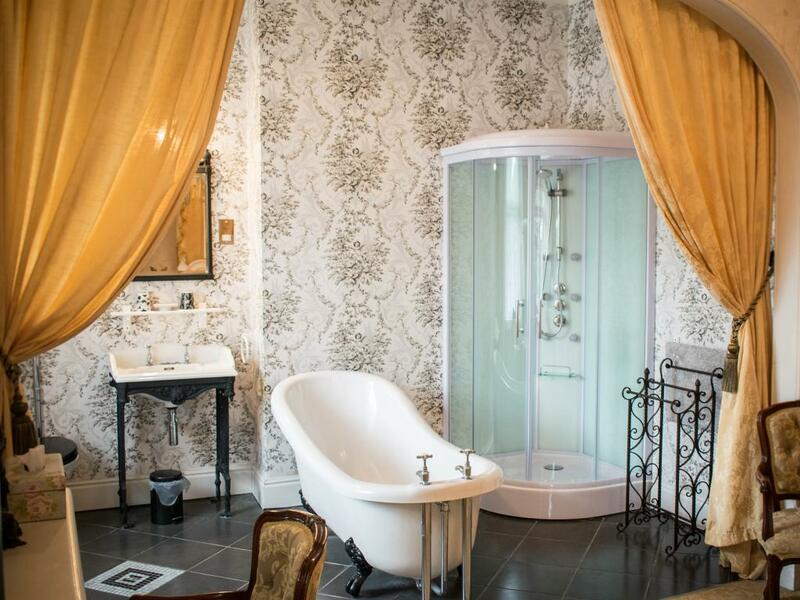 The Enchanted Manor has been lovingly restored creating a very special haven for couples looking for somewhere different, in a friendly atmosphere with first class facilities in luxurious but unique surroundings. 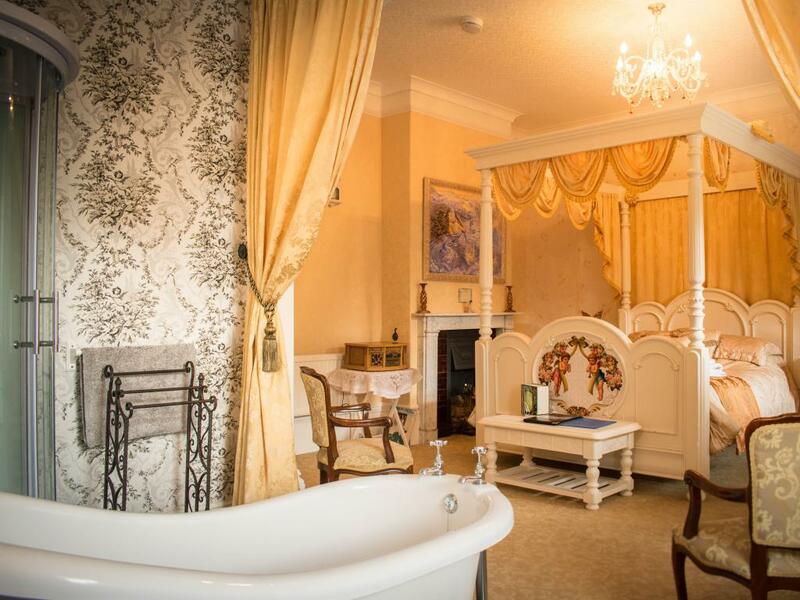 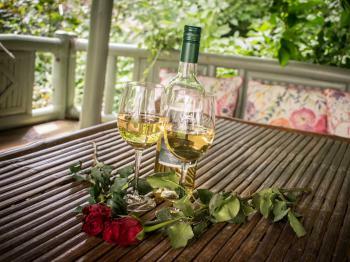 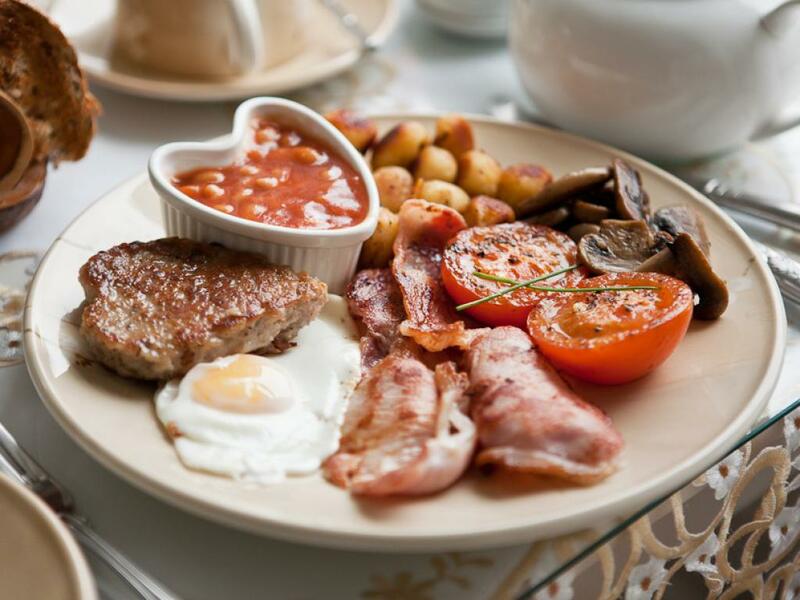 We personally look after all our guests and want to make it a very special experience, and it makes us so happy when our guests return to visit again. ..
No specific facilities available at this time. 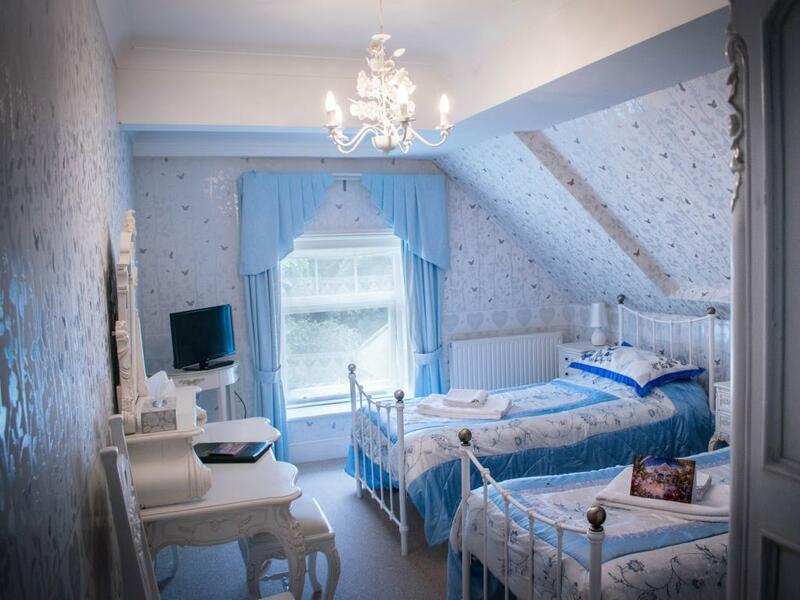 The Enchanted Manor is situated in the village of Niton, near Ventnor on the Isle of wight. 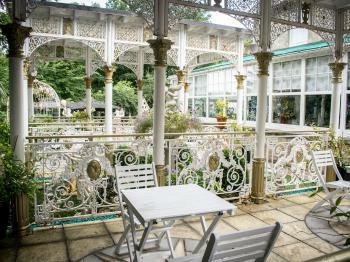 Travelling over to the Isle by car there are three options, Wightlink Ferries via Lymington and Portsmouth and Redfunnel via Southampton. 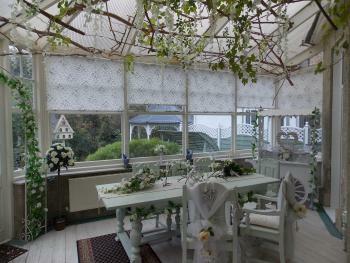 from Newport follow the A3020 towards Godshill. head towards Whitewell on the Whitwell road towards Niton. 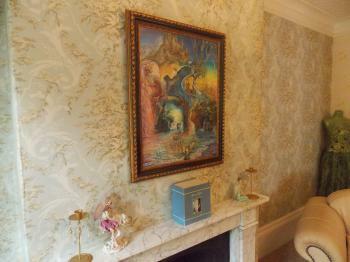 Turn into Sandrock road and follow the road to the end and you will find the Enchanted Manor.